Word Sauce All Level Answers, Cheats, Solutions for iPhone, iPad, iPod Touch, Android, Kindle, and other devices with screenshots for you to solve the levels easier. This game is developed by Clever Apps Pte Ltd.
Word Sauce is one of the best words puzzle game. It is fun to find hidden words by swiping across letter blocks. Improve your vocabulary and spelling skills with so many intriguing levels to solve. 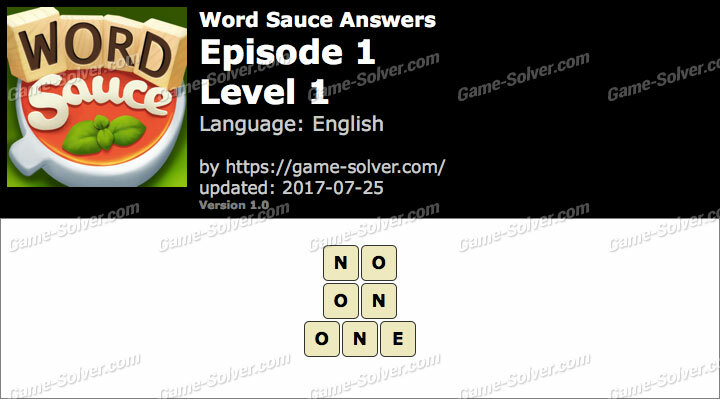 These are the Answers for Word Sauce Episode 1-Level 1 with Cheats, Solutions for iPhone, iPad, iPod Touch, Android, Kindle, and other devices with screenshots for you to solve the levels easier. This game is developed by Clever Apps Pte Ltd.